Derek Jeter, one of the greatest baseball players, was born in the year 1974 in the city of Pequannock, New Jersey. His father, Dr. Sanderson Charles Jeter, was a substance abuse counselor by profession, and was an African American. His mother, Dorothy, was Caucasian, from Irish/German origin. His parents met while serving in the U S Army in Germany. Charles was a shortstop at the Fisk University in Tennessee.. Derek Jeter’s sister is called Sharlee, and is 5 years younger than him. His family first stayed in North Arlington New Jersey; when Derek was four years old his family moved to Kalamazoo, Michigan. Derek and his sister spent their summers with their grandparents, who lived in New Jersey. His grandparents were passionate for the Yankees games, so they used to take Derek and Sharlee to watch the baseball games. Derek’s idol was the Hall of Fame player Dave Winfield. When Derek was in school, he was their star baseball player. He got the “All-State honorable mention” in school. In the year 2003, Derek got inducted in, “the Kalamazoo Central High School Athletic Hall of Fame “Derek Jeter now lives in Manhattan, in the city of New York, usually, while the baseball season is going on. When it is off season, he shifts to his home in Tampa, Florida. However, there is some confusion about his place of residence as the New York tax department had charged him for nothing paying income tax from the year 2001 to 2003. This was primarily because he had purchased an apartment in the city in the year 2001. But, Derek claimed that his permanent residence was in Tampa as he had purchased a house there way back in the year 1994. However, this dispute over taxes was settled in the year 2008. 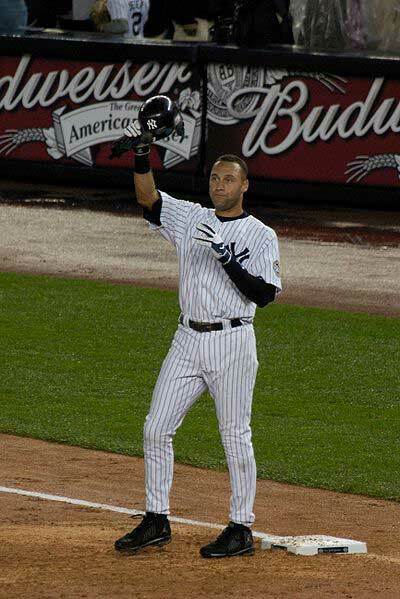 Derek Jeter is a pro baseball player who has spent his entire professional playing years with the New York Yankees. He is also the captain of the team, a position he has held since the year 2003. It is believed that his contribution with the bat has helped the Yankees succeed in the game. More..